So much to say about the coconut. We’re huge fans. First, they’re a fruit (actually a drupe) and not a nut. Second, they grow in tropical climates in Africa, Asia, Latin America and the Pacific. And third, if a tree could be considered clever, the coconut palm is just that. What makes coconuts so remarkable? If you found yourself stranded on a remote island, above all else (except maybe a plane ride home) you’d want coconuts there with you. Why? They’re one stop shopping: food, water and nutrients all in one. Let’s take a closer look. Underneath a coconut’s shiny green and impermeable skin is a mass of fiber called coir (pronounced coy-er). And beneath the shiny green skin and coir is what you’re used to seeing –– a furry and brown coconut. If you’ve made it through the green part and reached the brown part of the coconut, you’re almost there. But how does one break in? The answer is with a hammer or club or a large rock –– because coconuts have one of the highest security shells around. Once you’re in the reward is this: coconut water, coconut milk, and some exceptionally delicious fruit. But enough about the nutritional benefits of coconuts, let’s talk about their many uses. 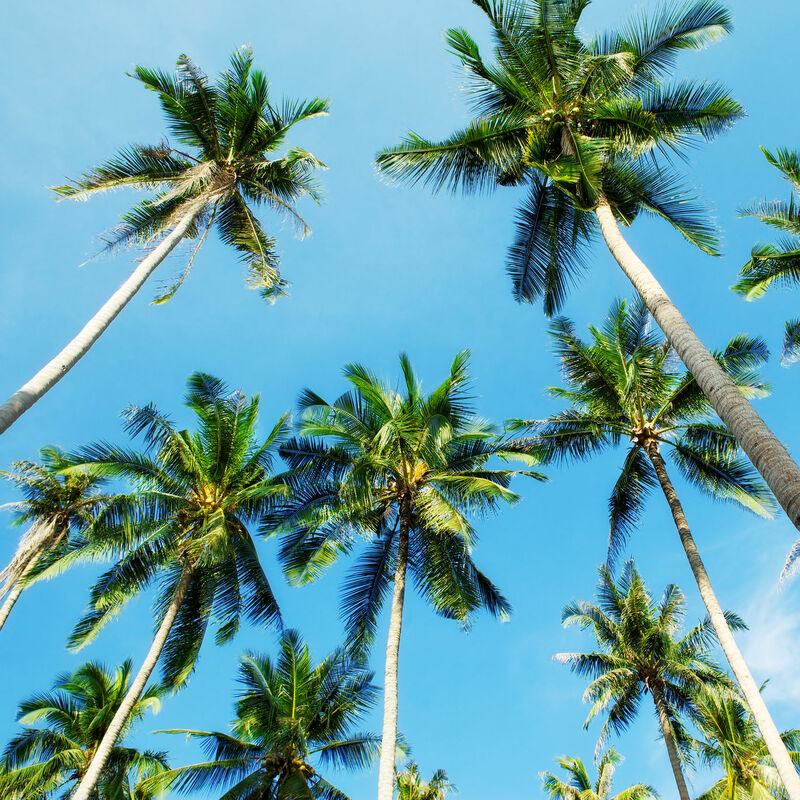 Aside from food (yum), coconuts are used for shelter (coconut roofs), clothing (fiber/hats), timber (wood for building), twine (string), and more. All that and we haven’t even mentioned how gorgeous the trees are. And they are. Really gorgeous. They grow on beautiful tropical beaches in some of the most idyllic spots on earth. So the next time you pass by a coconut, pay this extraordinary fruit some respect.